Update: Microsoft has insisted that while the Xbox One is no longer dependent on Kinect to run, it's still very much integral to the experience. Microsoft "isn't interested in splitting the development base", said PR boss Albert Penello speaking on Neogaf, strongly suggesting that the console won't be shipping without the peripheral. He also went on to reiterate that users' privacy is 100% safe, insisting that Microsoft won't be pulling a "gotcha". I spy with my little eye another retreating Xbox One update from Microsoft, this time regarding whether the console will require Kinect to function. "What happens if your Kinect breaks? Like if it falls off the top of your TV onto a hardwood floor or something? Will the console cease to function?" asked a questioner in an Ask Microsoft Anything Q&A on IGN. That resulted in a long, drawn-out answer from Microsoft about the benefits of Kinect. "Xbox One is designed to work with Kinect plugged in," stated Chief Xbox One Platform Architect Marc Whitten in response. Whitten went on and on about how the Xbox One Kinect makes "gaming better" for another 165 words. "That said," he wrote (finally getting point of the original question)"...like online, the console will still function if Kinect isn't plugged in, although you won't be able to use any feature or experience that explicitly uses the sensor." Always-on Kinect not so scary anymore? 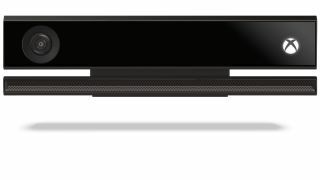 Microsoft has previously stated that the Xbox One Kinect would be required for the console to function, but it now sounds as if it's limited to Kinect-enabled situations, just as it is on Xbox 360. That's good news for privacy advocates who feared that an always-on Kinect would become a highly advanced, 1080p spying gadget. Microsoft, after all, has allegedly worked with or was forced to help the FBI spy on its customers. This is the latest retreat for Microsoft in a series of strategic missteps. Xbox One was thought to be hostile to independent game developers by requiring a publisher, leading Sony to take advantage of the thriving garage-based software community when touting PS4. Microsoft changed that stance last month when it announced that every Xbox One doubles as a developer kit. Before that, the company was in hot water with vocal gamers who were upset with the Xbox One always-online requirement and its used game sales ban. It would have forced console owners to check in via the internet once every 24 hours and limited used game sales to legitimate friends on their Xbox Live friends list. Microsoft backed off of this requirement as well, though it also took away some unique game sharing programs as a result. Read how the Xbox One vs PS4 comparison is a little more even today.